Combine powerful odor neutralization with a pleasant scent with Purina Tidy Cats LightWeight With Glade Tough Odor Solutions Clean Blossoms clumping litter. The light fragrance leaves your cats' litter box area smelling fresh and clean, while the Glade Tough Odor Solutions technology defends against overpowering smells. 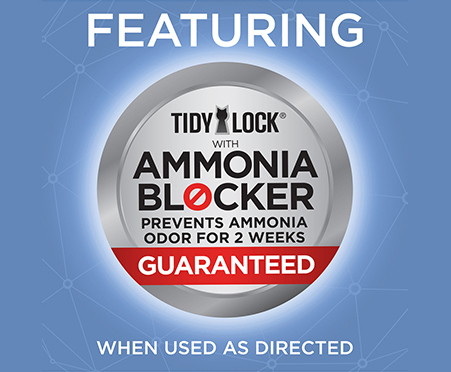 A powerful Ammonia Blocker prevents ammonia odor from forming for two weeks when used as directed. 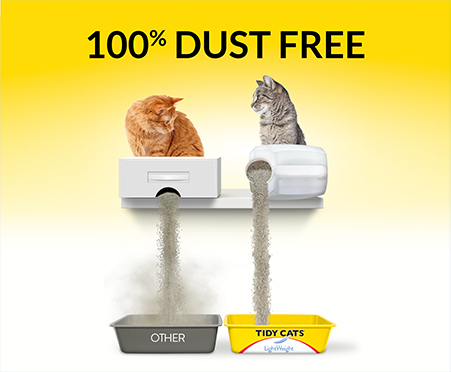 * It weighs half as much as leading clumping litter and is now 100% dust free. 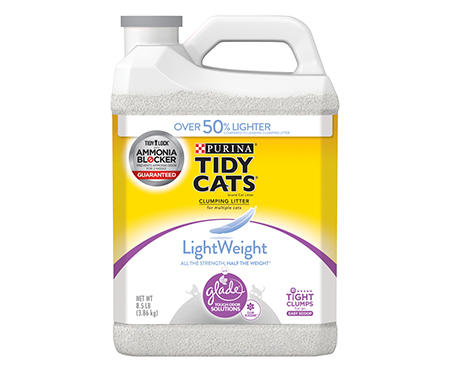 TIDY CATS LIGHTWEIGHT WITH GLADE CLEAN BLOSSOMS, our cats like it. LightWeight with Glade Clean Blossoms is the best yup yup the best I highly recommend it if you a cat. First of all the jug is light and easy to carry. Also it has a great scent to it. I received a coupon from #PinchMe for Tidy Cats LightWeight with Glade Clean Blossoms for my honest opinion. It did it's job nothing spectacular though. I received a sample of Tidy Cats lightweight with glade clean blossoms from pinchme and I have nothing but positive things to say about this brand! The scent was so much better then other litters and the odor control was better as well! The litter is super light which makes life so much easier! This brand clumps well and is just a good brand of litter all the way around! I gave this to my brother to try because he has several cats. The light glade scent is pleasant and did help make urine scent. It was also light weight so I could carry it easier than some other litter. the lightweight of the product is a real plus for people that cannot lift/carry heavy stuff and the glade scent really help keep the places smelling nice and mask the odor of the litter box. I received Tidy Cats LightWeight with Glade Clean Blossoms as a free sample from PINCHme. The packaging is nice in that it is a lightweight bottle that is easy to carry and pour. The scent of the litter is very nice and it does seem to be lower dust than the current Tidy Cats multi cat I was using. The litter does still track just as easily as my current litter. My problem is that because the litter comes in small packaging for ease of carrying, I went through it faster being a multi-cat household. I'd actually prefer a little larger container so I didn't have to go to the store as often! The Lightweight with Glade CLean Blossoms smells great and has a low dust at least when I tried it. Would buy again. I do not have cats, but one of my best friends runs the cat area at her animal shelter. I gave the Tidy Cats LightWeight with Glade Clean Blossoms that I purchased to her to use at the shelter. We really appreciate receiving this from PinchMe. It has gone to cats in need! 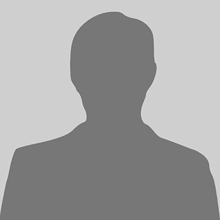 I really liked this product the smell was great and it is really light weight and does not track litter around that much at all. Tidy Cats is a godsend very easy to lift and the smell is clean like flowers. I had the opportunity to try TIDY CATS LIGHTWEIGHT WITH GLADE CLEAN BLOSSOMS and it was a very good product that I am happy with. The litter was very good at keeping the odor away and leaving the box smelling like it was still fresh. 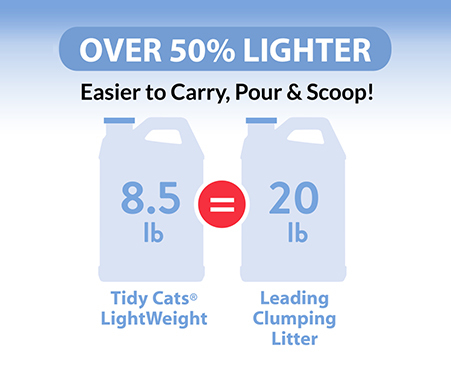 Tidy Cats Lightweight with Glade Clean Blossoms is yet another great litter by a company that never disappoints. While my cats don't care about the new scent I think its great. Being able to pour the litter from its original container is very helpful. I love the fact that Tidy Cats litter clumps. The only drawbacks for me were the price and the scent. Wonderful smell,extremely lightweight container, easy to pour and scoop! Clumps extremely well and tight. Love the fact that in a multiple cat household it really works!!! I have been super pleased with using the Tidy Cats Lightweight with Glade Clean Blossoms cat litter since receiving a free sample from pinchme.com. The odor control benefits are amazing. Very impressed with the odor control. I will be purchasing this from now on!